In the competitive mid-range segment, the Nokia 7 Plus seemed really had no competitor until Samsung took wraps off its Galaxy A6+ in India this month. The Galaxy A6+ boasts premium features like Infinity Display, Samsung Pay Mini, dual rear camera setup and metallic build. The Galaxy A6+ is retailing at Rs 25,990 through Amazon and Samsung’s own website. The Nokia 7 Plus is available currently at Rs 25,999 through online and offline retailers. With similar pricing range, it is a difficult choice to make among the two, so here we are comparing the two to help you make a right choice. Both the Samsung Galaxy A6+ and Nokia 7 Plus bring metal unibody design to the table but are quite different in aesthetics. The A6+ goes with familiar Galaxy A series design with a plain black rounded frame, curved antenna lines and centre aligned camera module. The Nokia 7 Plus stands a class apart with its premium-looking frame and copper finished sides. While both the devices come with rear fingerprint scanners, and 3.5mm audio jacks, the Galaxy A6+ sports a micro USB port at a time when USB Type-C has been widely adopted by most phone makers. The Nokia 7 Plus features USB Type-C connector which is certainly a step up in terms of usability. As for the display, both the devices feature bezel-less screens with identical sizes and resolution. The Galaxy A6+ has a 6-inch Super AMOLED display with 1080 x 2220 pixels Full HD+ resolution and 18.5:9 screen aspect ratio. The Nokia 7 Plus has a 6-inch Full HD+ IPS LCD display with 2160 x 1080 pixel resolution. Despite its upper mid-range pricing, the Galaxy A6+ ships with a budget-level processor, while the Nokia 7 Plus comes with an upper mid-range chipset justifying the asking price. The Galaxy A6+ is powered by the octa-core Qualcomm Snapdragon 450 processor backed by 4GB of RAM and 64GB of internal storage, which can be expanded using a microSD card (up to 256GB). The Nokia 7 Plus features a more powerful Qualcomm Snapdragon 660 octa-core processor with 4GB RAM and 64GB onboard storage. There’s a huge difference in raw power, and SD 660 will outperform the Snapdragon 450 in everything from multitasking, gaming or LTE download speeds. The Samsung Galaxy A6+ has a 3500 mAh battery, whereas the Nokia 7 Plus has a slightly larger 3800 mAh battery. Moreover, the Nokia 7 Plus comes with Quick Charge 3.0 support via its USB C port whereas the Galaxy A6+ relies on USB 2.0 port and has support for fast charging. But Samsung will not ship a fast charger inside the box, so one has to purchase a fast charger to make use of the feature. The Samsung Galaxy A6+ offers a 16MP f/1.7 + 5MP f/1.9 dual camera setup on the rear while Nokia 7 Plus goes with a 12MP f/1.8 + 13MP f/2.6 dual rear camera. While in Samsung’s case the secondary camera is used for depth-of-field effects and the Nokia offers a more traditional wide angle and telephoto lens combo. The dual ZEISS branded cameras on the Nokia device offers great colour reproduction and details in daylight but suffers in low light conditions. The wider aperture on the Galaxy A6+ camera allows capturing more light and crisper photos in low light conditions. As for the front camera, the Samsung’s 24MP f/1.9 camera seems to have the edge over the Nokia’s 16MP f/2.0 unit. The Galaxy A6+ is also equipped with an LED flash on the front that is a great feature for those interested in night selfies. The Galaxy A6+ comes with Android 8.0 Oreo that’s topped off with the Samsung Experience UI. Though the feature-rich OS comes with host of Samsung apps, as well suite of Microsoft apps, the multitude of apps are likely to cause lag and stutter, especially with the low powered CPU. The Nokia 7 Plus, on the other hand, comes with Android 8.1 Oreo out-of-the-box and is part of the Android One Program. The “stock” Android experience along with new updates and security patches delivered on time makes Nokia 7 Plus the obvious winner in the software department. The Samsung Galaxy A6+ comes with Samsung’s traditional pricing as it retails for Rs 25,990. 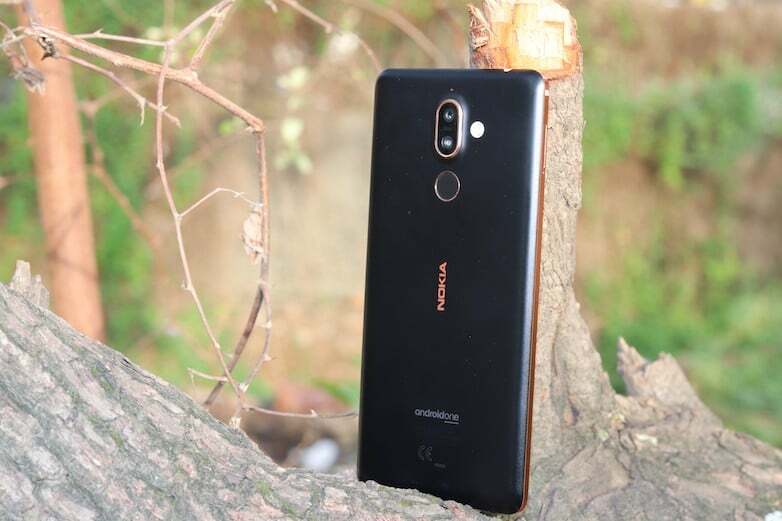 The cameras and AMOLED display are additions for the Galaxy A6+, but the Nokia 7 Plus offers way better features at the same price tag of Rs 25,999. Nokia 7 plus must ve compared with A8+ and A9 pro. Not A6+. C9 Pro > A8+ and A9 pro. I have used all the devices. C9 pro should have got OIS for the rear camera. It doesn’t make any difference except in the videos. In fact I have seen C9 Pro consistently clicks better pics in almost all lighting conditions. Samsung A9 pro 2016 rocks even till now.